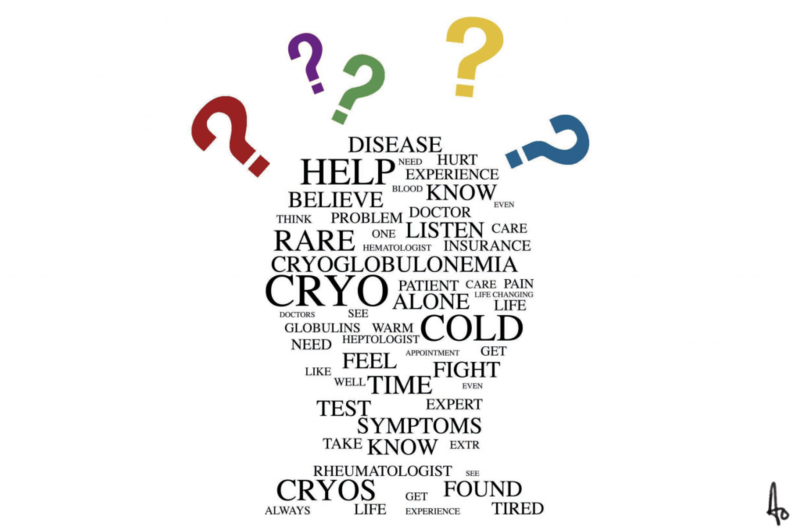 I can think of no other experience that brought more confusion into my life than being diagnosed with Cryoglobulinemia. The more questions I asked about my disease, the more questions I found, and very few answers. I wanted to know what to expect and how to be proactive in maintaining my health. Of course I also, hoped for a cure. I had and still have many unexplained symptoms that could be connected to Cryoglobulinemia but none of my doctors were or are willing to make that leap. In fact, I generally have to explain my condition to health care workers and hope I don’t insult their egos in the process. My dream is to find a doctor that knows more than I do about Cryoglobulinemia. I am determined not to give up on that dream. It’s always important to be a proactive patient and know as much as possible about one’s own body and conditions. In the case of Cryoglobulinemia it is imperative to survival to self-educate. Accomplishing that is not an easy task. There is more information online than there was when I was diagnosed ten years ago but much of it is repetitive and shallow. Practical advice for living with this disease is mostly, unknown to my doctors, at present, and there is little information written about life with Cryoglobulinemia. I know no one else in my community with the disease and there are no local support groups. I remember how overwhelmed and alone I felt being saddled with such a scary diagnosis and unable to find any real answers. The pictures I found on Google of black fingers and toes were downright frightening and I was terrified wondering if that could happen to me. The only advice given me was to stay warm but there were no explanations of what that means for a Cryoglobulinemic. I am a persistent person driven by a need to understand and some relief from the confusion came when I found an online support group and connected with other Cryoglobulinemics. Fellow sufferers willing to share their experiences became a life-line for me. This is where I learned what the type of Cryoglobulinemia I have could do to my body and what steps I could take to prevent some of the damage. It is the place where I found practical advice on how to live with cryo from day-to-day. I also, found validation and emotional support that makes the burden of my disease easier to bear. I have witnessed how our stories have made an impact (though sometimes it still seems inadequate) on what is known about this disease and the healthcare system’s awareness about Cyroglobulinemia. Patients coming together do make a difference even when we have to join hands around the globe in order to find a few hundred of us. 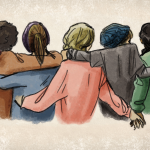 Together we can find better answers and make a difference in the lives of one another. We can bring an end to much of the confusion that comes with the diagnosis of Cryoglobulinemia. If you are a newly diagnosed Cryoglobulinemic or if you’ve been diagnosed for some time and still feel confused about your disease, the Alliance for Cryoglobulinemia website is the best place to be. The information here is good information from articles, to treatments, to finding doctors, to patient stories and practical advice. Good information and connecting with other patients through a support group goes a long way to lifting the cloud of confusion and empowering Cryoglobulinemics to survive and even thrive. 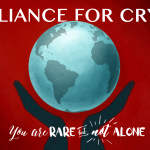 Validation: Alliance for Cryo Secret Support Group Essential Cryoglobulinemia is Real! We need more research!